Parents are usually pretty proud of their kids and usually more so in police families. But rarely do a father and son duo from the same agency make an impressive arrest together. 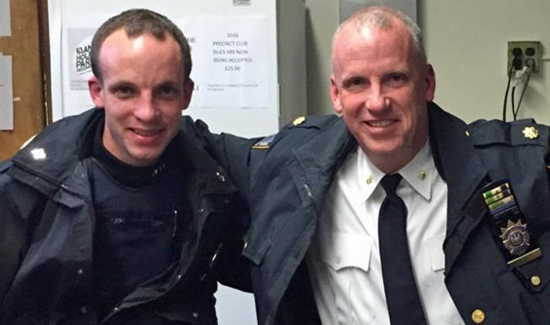 “An NYPD deputy inspector marked the occasion of his pending retirement by inviting his police officer son to patrol with him Saturday and the pair subsequently disarmed and arrested two robbery suspects. It’s like that game where Ken Griffey and Ken Griffey junior homered in the same inning.